Manchester United vs Brighton: In this FA Cup Quarterfinals, Manchester United will play against Brighton on Saturday, 17th March 2018. This game will takes venue at Old Trafford in Stretford, England and the game begins at 07:45 pm BST. This is the first meet between these two sides in the FA Cup since 1993. In their last game, Man. United have won with the final score of 1-0 over the Seagulls. Brighton have just won one of their 17 games in other competitions against Manchester United with five drawn and eleven losing games. Man. United have eliminated from three of their last four FA Cup quarter-finals. Brighton’s third FA Cup quarter-final appearance and this is their first quarter-finals stage in the FA Cup since 1985-86. Manchester United Lineups: – Romero, Valencia, Bailly, Smalling, Shaw, Matic, McTominay, Mata, Lingard, Martial, Lukaku. Brighton Lineups: – Krul, Schelotto, Dunk, Duffy, Suttner, Kayal, Propper, Gross, Locadia, Ulloa, March. 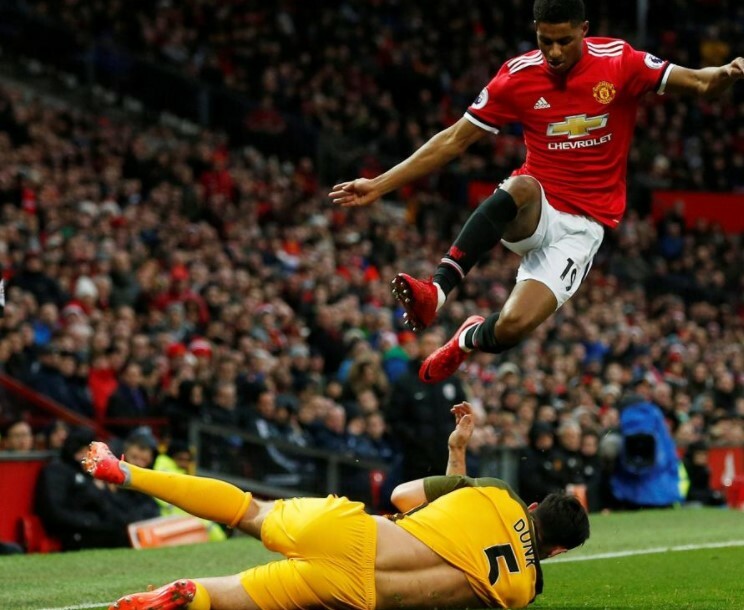 You can watch Manchester United vs Brighton Live Stream on following TV Channels and online if you are in the United Kingdom and the United States.